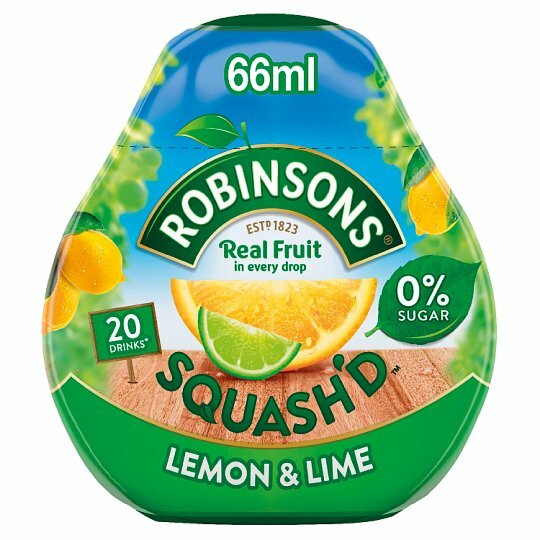 Highly Concentrated Low Calorie Lemon and Lime Soft Drink with Sweetener. *3.3 ml serving per 250ml of water. Shake well. Warning: Do not drink undiluted. If swallowed undiluted drink water. Not recommended for use by children under 36 months. If diluting for toddlers add extra water. Avoid contact with eyes. In case of contact rinse with water. Not to be handled by children under 36 months. Do not refill.